We are a family that adore Halloween. Yes I know it's early, but there's less than 35 days until Halloween! 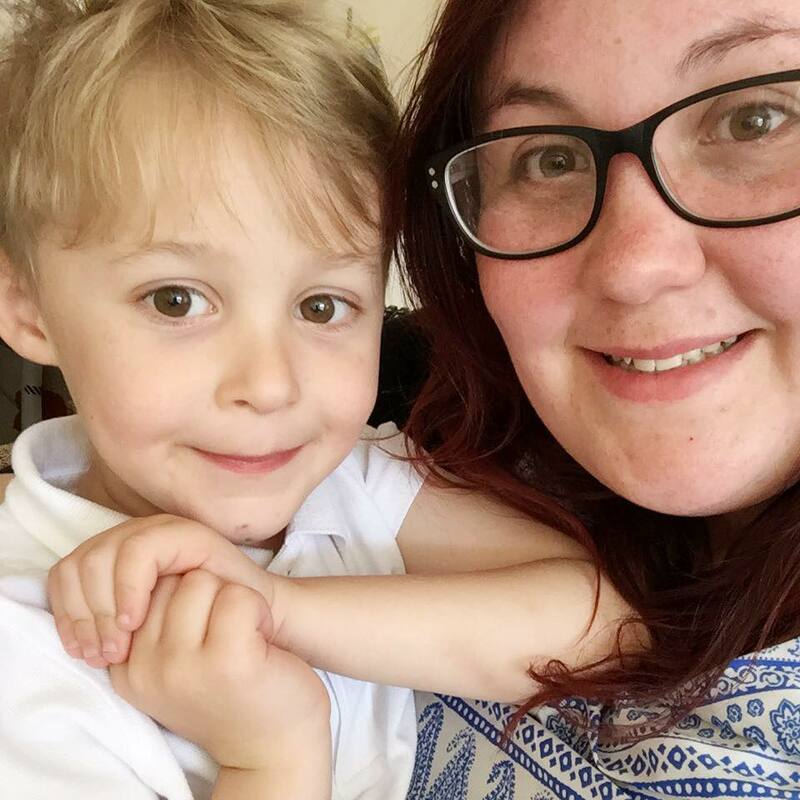 We love nothing better than going Trick or Treating, getting some goodies and then settling down watching the Addams Family (I definitely have a bit of Wednesday in me!). Of course the biggest part of Halloween is dressing up. We go all out with makeup and hair and this seems to have rubbed off on Max. There isn't a week that goes by when he doesn't dress up in one outfit or another. This year though we are looking at either making a costume ourself of looking at buying a shop bought one. After browsing websites relentlessly, George at Asda turned out to have one of the best selections and price ranges. 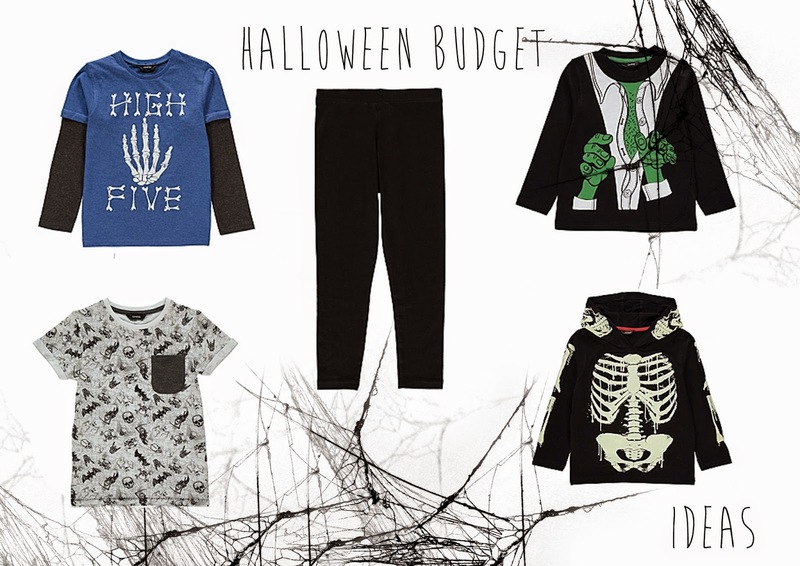 So here are our Halloween top picks! I love the idea of all in one outfits. Something where you can buy one thing and you don't need to think about decorating or dressing it up or down. 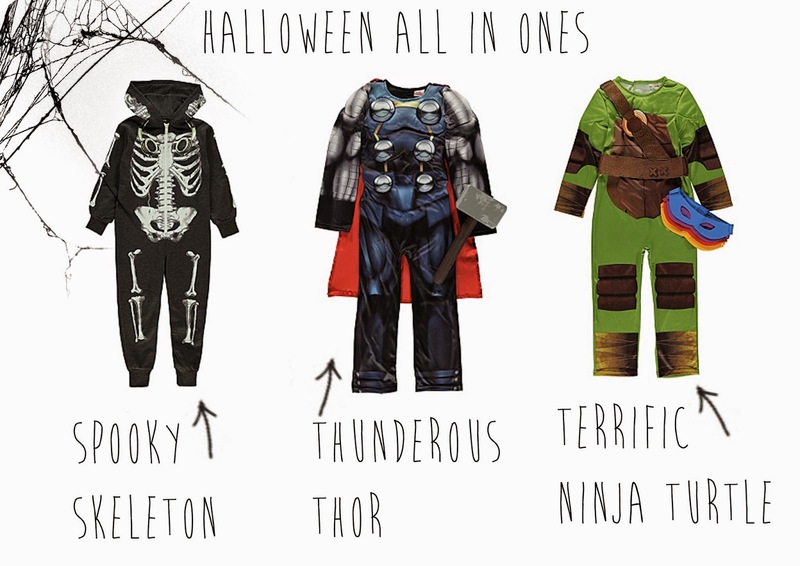 So the skeleton, Ninja Turtle and Thor outfits fit the bill. I love that you can pick your own eye mask for the turtles and the Thor outfit even comes with a hammer too. These are great as they can be used all year round too so perfect for the dressing up box! Finally there is the gorgeous skeleton onesie which may or may not have jumped in my basket to put away for Christmas. Each of the outfits works out at roughly £12.50 each so definitely a great buy for Halloween and beyond! Having said that, I appreciate that Halloween is only once a year and for some it's hard to find £12.50 so I've come up with some easier and cheaper solutions for you. I picked a base for the outfit which is a simple pair of leggings for £2.50. Yes boys can wear leggings too! On top of that I picked three tops are are under £3 each (what a bargain! I love the high five one) that are great and spooky but can also be used for day to day use. Alongside the tops I picked a gorgeous skeleton jumper which is great for keeping cosy when you are Trick or Treating. I love all these outfits, the fact that they can all be reused beyond Halloween and the fact that everything comes under £15! A bargain for a great night having fun. Thanks for sharing this blog, some good Halloween costumes are over there. 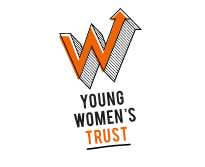 I would like to suggest Crucial Start to have a look at some good parenting blogs.